This Site contains all the ever popular Tamil Video Songs. 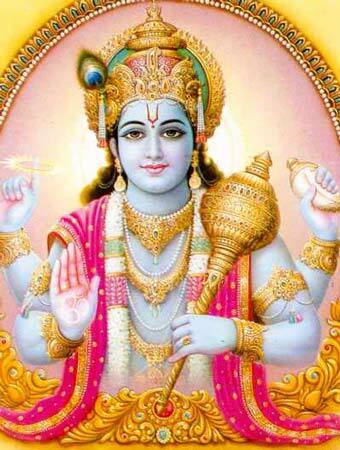 Lord Vishnu is the prominent God of Vaishnavites in Hinduism. He is adorned and celebrated as one of three major Gods - Lord Brhama, Lord Vishnu and Lord Shiva. It is believed that He is one who all the living beings of the world. Krishnan, Kannan, Dhamodaran, Venkatesan are some other names of this god. In Mahabharat war Lord Vishnu preached preached the basic concept of Bhagavath Gita when Arjun hesitated to against his grand father Bheesmar and others. In Hinduism it is believed that there are 10 avatars of Lord Vishnu. There is an interesting story and message behind each avatar of God. Shri Mahalaxmi is the consort of Lord Vishnu. Bama and Rukmani were the consorts of Lord when He took Kannan avatar. Indeed there are many old Tamil films containing devotional songs of Lord Vishnu. Here we can watch some devotional songs of the Lord from the movies released around 1960s and 1970s. The above sing is from the movie 'Padikkathamethai' released in 1960. Sivaji Ganesan and S.V.Rangarao starred in this song. Sivaji Ganesan acted as an innocent and faithful servant to S.V.RangaRao family. The head of family S.V.RangaRao became happy on his activities and services and compared him to Lord Kannan. This is a Mahakavi Bharathiyar song. Dr. Seerkazhi Govindarajan gave his beautiful voice to the song. The music was composed by K.V.Mahadevan. The above beautiful song is from the devotional movie named 'Thirumal Perumai' released in 1965. Shivakumar, Sivaji Ganesan and Padmini starred in the above song. We can know about 10 incarnations of the Lord in this song. Each incarnation is shortly described by the singer T.M.Soundarrajan. K.V.Mahadevan composed music for the song. Lyricsist is Kaviyarasu Kannathasan. 'Thirumalai Thenkumari' , released in 1970. is name of the movie in which above song is present. The song has attained ever-green popularity simply because of magnetic voice and starring of Dr.Seerkazhi Govindarajan. Sivakumar and Manorama are other artists of the movie. Kunnakudi Vaidyanathan composed music for the song and the lyrics are by Kaviarasu Kannathasan. I am a housewife from Cumbum, Tamil Nadu, India. Here you will enjoy some of my entertaining blogs. Copyright © 2012 Enjoy Tamil Video Songs and Blogger Templates.